A GRIP ON SPORTS • If a movie was made about today, we would have to call it “Winter’s Revenge.” I’m not sure any Hollywood producer would buy it, however. Who wants to sit in a theater for more than two hours watching people slipping all over the place? Other than Three Stooges’ fans, I mean. If you want a movie that’s perfect for the Hallmark Channel, however, we have a treatment to share. Read on. • Is there a gazebo somewhere on the Gonzaga campus? How about at North Idaho College? Washington State? Except when there is a college basketball connection. And a connection through college basketball. Which is what our Whitney Ogden highlighted this morning. Three couples coaching college basketball together. And staying together. Talk about a 16 upsetting a 1. Wow. Down in Pullman there are June and Mike Daugherty. They’ve been married seemingly forever and coaching together for 33 years. Over at NIC there are Chris and Carey Carlson, on their 22nd year of coaching. 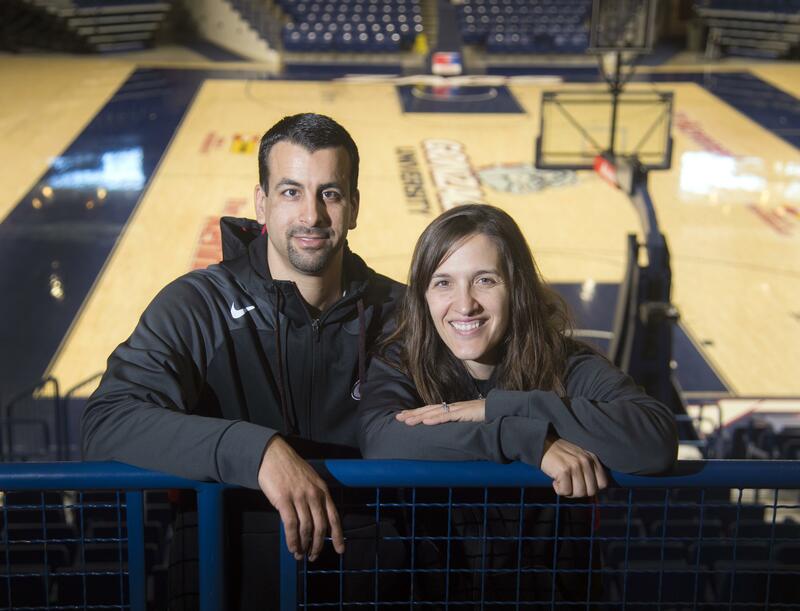 And at Gonzaga there are Lisa and Craig Fortier, relative newcomers, coaching together for their fourth season. This is the type of Valentine’s Day story the Hallmark Channel would just love. “Love on the Court” seems to be available. Or maybe “Xs, Os and Kisses.” Too much? Nah, nothing is too much for the Hallmark Channel. Or these couples. • The college baseball season begins Friday, which is probably why it snowed so much around here this morning. God’s idea of a joke I’m thinking. Anyway, to get you in the mood, we are passing along a Peter King story from Sports Illustrated. Wait, isn’t King an NFL writer? Yes he is. Yet this story, about one college baseball game in Pullman years ago, is one of the better things he’s written in a while. Of course, we’re a bit prejudice. It’s about Steve Gleason, Barry Zito and the day they collided on the Palouse. Oh, and there is a mention of my broadcast partner Derek Deis. Spoiler alert: The weather that day in 1999 was a lot like the weather today. • Did you watch the Olympics last night? 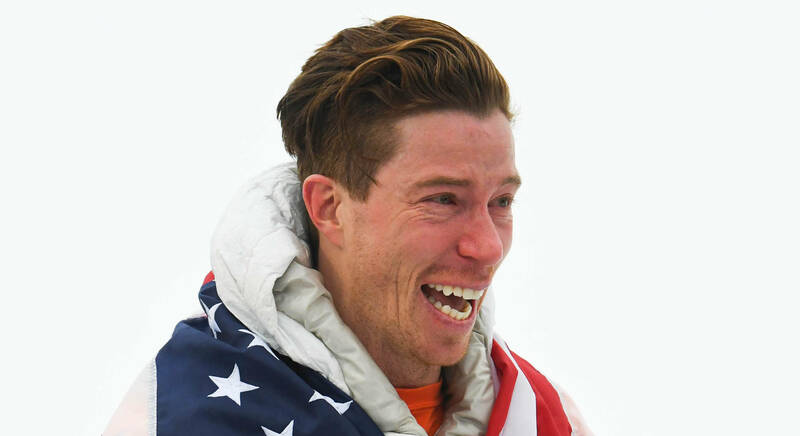 If you didn’t, you missed one the great comeback stories of the year, as Shaun White won his third gold medal – and the 100th ever for the United States – in something called the halfpipe, a term that always takes me back to my college days in the 1970s, though the connotation was different then. Anyway, White, who won gold medals in his first two Olympics but failed in his third, four years ago at Sochi, came through with a magnificent final run to win as a wizened 31-year-old. A 31-year-old who tore his face apart in October in a crash that resulted in 62 stitches. It's pretty amazing he's even able to muster the courage to get on his snowboard after that. Last night, after he had landed all his twists, turns, flips and flights, he waited for his score. And waited. And waited. Finally it flashed. A gold-medal-winning 97.75. The tears came. Lots of tears. Winning tears. Heck, Hallmark Channel-level tears. WSU: No tears in Pullman these days, but a lot of words. Theo Lawson has video from Ernie Kent’s press conference yesterday. … The Cougars have a recruited walk-on headed their way. … Elsewhere in the Pac-12, will everyone start playing zone now that Washington has had some success? … The 20-game conference schedule is still being debated. … Thanks to California, Washington State isn’t at the bottom of the power rankings. … Utah is in the middle. … Arizona is still trying to put the pieces together consistently. … UCLA’s Thomas Welsh has been around a long time. … Oregon is relying on guys who haven’t. … In football, Oregon State has a new defensive philosophy. Gonzaga: The evolution of Rui Hachimura’s game continues, especially on the defensive end. Jim Meehan has this story on the sophomore’s improved play. … Around the WCC, Pepperdine fired Marty Wilson yesterday, though the seventh-year coach will finish out the season. EWU: Though Eastern may not have a sitting athletic director, it’s far from leaderless. Jim Allen has a story on the person who holds the reins currently, Lynn Hickey, and another piece on a possible permanent candidate. Idaho: Yes, golf is going on. In warmer places than here, that’s for sure. CCS and NIC: The two local community colleges will meet this weekend, pitting two players who have made an interesting journey to the area. John Blanchette has a story about the pair. Preps: The basketball playoffs rolled on Tuesday night. Greg Lee came off the bench and covered East Valley’s win over West Valley in the girls District 7 2A title game. … We also have a roundup of other action in the area in girls and boys hoop. Seahawks: Kam Chancellor intends to play. If he is cleared. How big is the “if?” … The Hawks have the 18th pick in the draft’s first round. For now. Mariners: The pitchers are out there throwing, the catchers are out there, well, catching and all is right in the world. The M’s are contemplating a six-man rotation at times. Sounders: A new radio deal. some new players and a new formation. That’s a busy Tuesday, right? Oh, and my favorite Sounder, Brad Evans, is gone. I'm a Sporting Kansas City fan now. Published: Feb. 14, 2018, 8:14 a.m.